CT2551 - 4.4-ounce, 62/33/5 poly/rayon/spandex jersey knit. 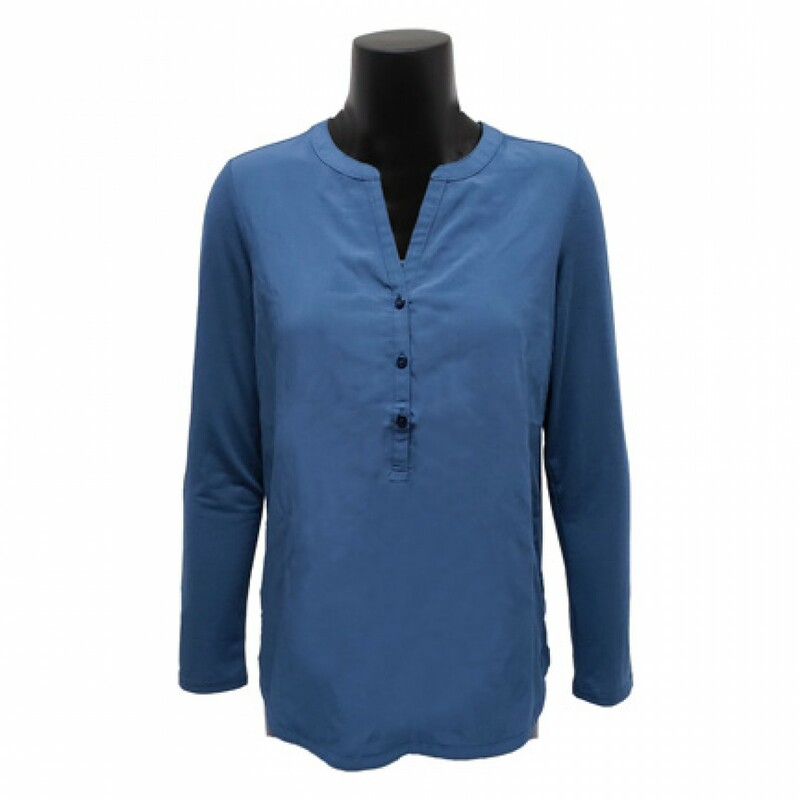 3-button henley placket with dyed-to-match buttons. Inverted back pleats. Roll sleeves with button tabs. Longer tunic length. Rounded hem. 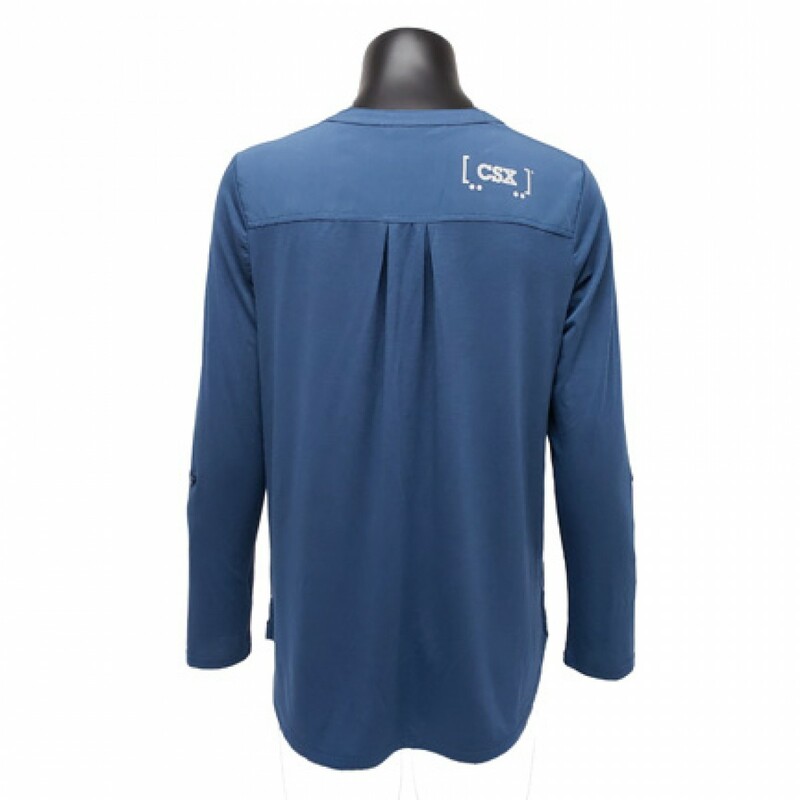 Dusty blue with light gray CSX railcar logo on back right shoulder.